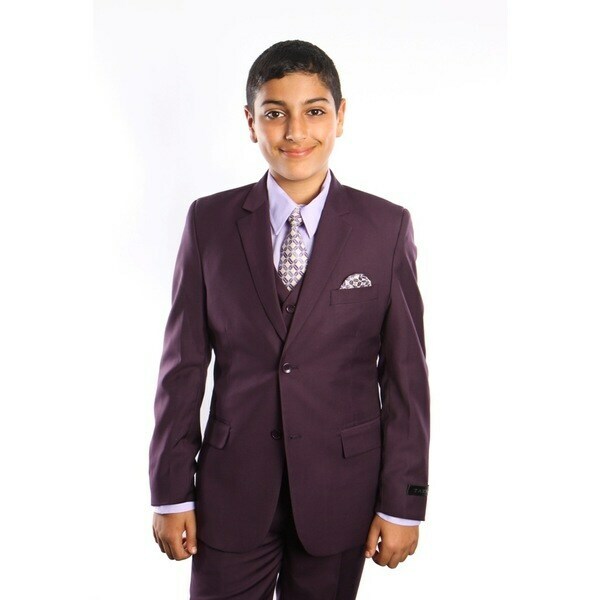 Dress your boy dapper with this stylish five-piece suit which includes a matching shirt, tie, and suit bag. I love this suit! I absolutely love the color plum...it was exactly what I expected. The material is so nice. My son really loves this suit. Yes I recommend it.